Electric Full Body Shiatsu Massage Chair Recliner w/heat stretched foot rest 06C. The electric full body Shiatsu massage chair comes at $599.99 + $154.47 shipping charges and falls in the cheapest category. It is said to be a value for money product by over 176 customers on amazon.com. Adjustable air massage which enhances the Shiatsu massage technique’s flexibility and provides multiple massage intensity choices like heavy, mild and light massage modes. Air massage feature enables the chair to adjust according to the user’s body structure and reach all the points with accuracy. Inbuilt heat control all over the chair to sooth muscles during the massage which is necessary for longer lasting relaxation of the body. Added feature of neck massage to relieve the “Tsubo points” on your neck. 1 year limited warranty which includes repair and replacement of all the parts (working and static) which decrease the headache of the consumer in case of any faults. It has stretchable neck and foot feature to fit in the users who are tall and have a long neck. The ankle fitters are detachable and work compatibly with the control panel. The main con that is found in this product is the warranty service according to few of the customer reviews on amazon.com. Even though each and every part of the product is covered for one year under the warranty service, the defects were found to be random and not specific to only one part or feature. The company does not cover the returning shipping charges and thus users have to pay on their own to ship the massage chair back to claim repairs or replacements. The product ranks #1 in health and personal care massage equipments on amazon.com and has a big win in case of value for money. The user satisfaction is quite good but when it comes to the defects that arise very rarely, the customer service lags behind from other companies a little. So, if you are unlucky enough, you might end up in the line of the very few critical customers otherwise in the huge chain of satisfied ones. The most talked about feature of this particular manufacturer is the quickest delivery in the market. People who usually got 3 weeks estimation on delivery got the product within a week. The massage chair comes at a low cost of $999.87 + $127.97 shipping charges. 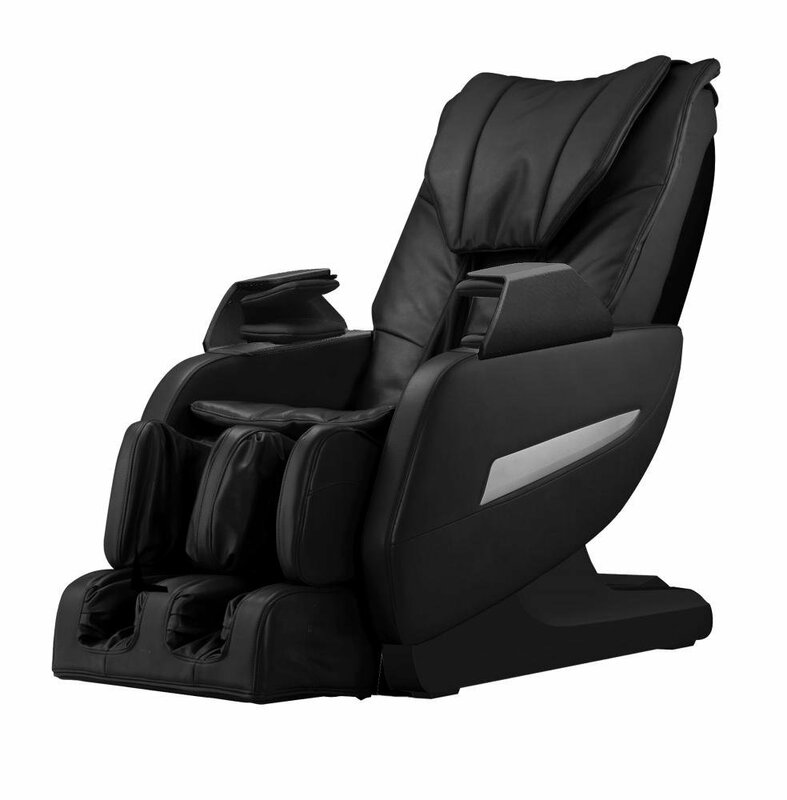 It is considered as the upgraded version of electric full body massage chair Recliner w/heat stretched foot rest 06C. The massage chair weighs 240lbs and is very easy to be moved around the room or after the delivery to be installed. 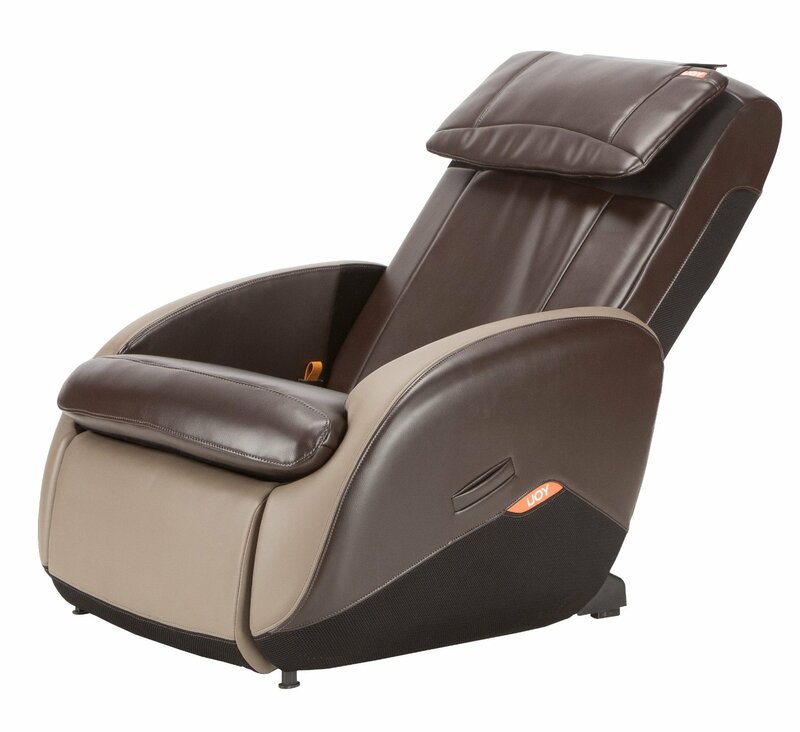 Rather than any other product from this seller, it has the least negative reviews and comparatively equal performance to many in the above $1000 massage chairs category. The installation is very easy and requires only a few nuts to be fixed and tightened to make the chair completely functional. Most of the people who ordered this product happily chose curb side delivery. The foot rollers and massage track/rollers are additional features which benefit the ones suffering from sore legs and ankles on a daily basis. For a product that comes under the category of below $1000, the chair works just fine but few users complained about complete breakdown of the chair’s functionality. The problem could not be solved and thus they got a refund from the vendors. One of the least observed negative points is the leather wearing off sooner than it should. The stains were removed easily but the quality with every wash of the upholstery went down. Even though a massage chair is used while it’s functioning, when turned off it does not give a great couch comfort to many people. This massage chair comes #106 in the massage chairs category on amazon.com. The user will surely be amazed to find the features as compared to the rate of the massage chair. The consumers were happy with both the product and the delivery quickness as well. 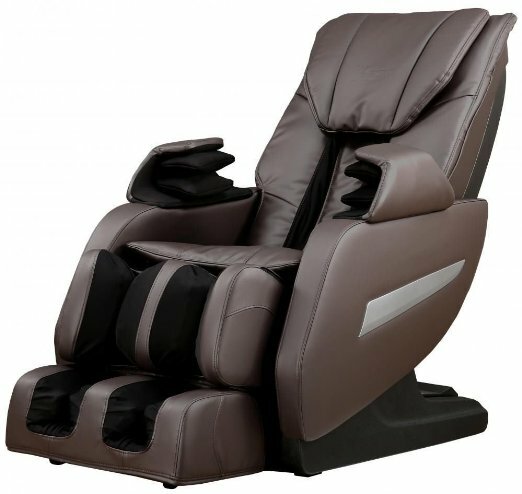 The rate of this massage chair when compared to the features and quality is quite cheaper than the other manufacturers. It comes in a very low cost of $699 + $167.47 shipping charges on amazon.com and mostly has discount offers prevailing around it. The OPTO sensor device brings the massage to proximity of human massages and can identify different user’s shoulder and body postures. Roller scarping for the whole foot which enhances the foot massage and gives a sheer relaxation as well as is helpful in medical conditions. The waist heat function is seldom seen in the cheaper models with durability, but this product scores high in removing stiff waist, backache and stomach cold. The power of the massage chair is rated 240W in power and 220V in voltage which enables all the heavy functions to work without overload on the chair. The zero gravity experience as observed in this chair according to most of the users helped them relax better and take deep breathes during the massage by decreasing pressure on back and joints. Even though the customers were satisfied with what they got for the money they invested, many faced problems in the installation of the chair. The troubleshooting was seen to be often which made the massage very painful at times. Few users reported that the heat sensor function malfunctioned and gave uncomfortable or rather cold vibes at times. The stiffness of the chair and massage intensity went out of control at times making the massage painful even for bulky users. 4 modes of massage are provided in this product but many later found out that only 3 of them were functional. Often it was the one least used. The chair is a powerful massager with features and durability which sometimes may become painful for even a bulky person. Even after some of the malfunctioning problems of the massage chair, there is no second thought that it has been a good companion for people on a longer term of usage. So, if you can bear few minute issues which occur seldom, you can bring this big boy home and get all the good massages as you want. Light weighed, compact and with a very low cost of only $399 makes this massage chair one of the most looked up on any website exclusively on amazon.com. The 3 modes of massage include kneading, compression, percussion which cover almost all of the back and full body problems. The massage chair is shipped free of cost and is easy to install too. This makes half of the thought process go away for a buyer in case of decision making. The sleek design is fit for shorter people preferably 5’7 and below. Usually other massage chairs do not completely provide the massage relief for short people due to their built being of universal size. Easy to use remote along with the new flex glide massage solution enhances the massage experience. Modes are both fully automatic and manual to choose from. One of the cheapest yet best massage chairs for people with back problems and recommended for people with a smaller space to place the chair in. Different colors of choice for the upholstery which vary with a difference of up to $100 gives more options to choose from. The rate may attract a lot of people because of the features that come along with it, but few important features like rolling, and tapping are not available. The recliner does not go full stretching but is subtle enough only for shorter people to get a full back and hip stretch. No foot reclining option is available either and makes the chair specific only to people with back problems. Though, the modes of massage available should provide foot massage and rolling too. The base of the chair is sofa height and may feel like a lounge chair when not switched on. This may make many uncomfortable to use it as a couch on a regular basis. No heat option available either to soothe the muscles which is necessary for back and neck massages. If you and your family have back problems and are rather short in height, this chair is suitable for you.The color choices are attractive at the kind of rate it comes in. 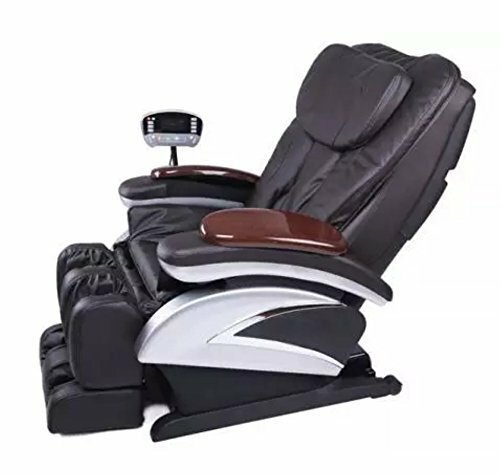 The chair is cheap but it would be preferable to opt for a Full Body Zero Gravity Shiatsu Massage Chair w/heat recliner Long Rail 161 model which has much more features like foot massage and full reclining along with a bigger size at only $100 more.